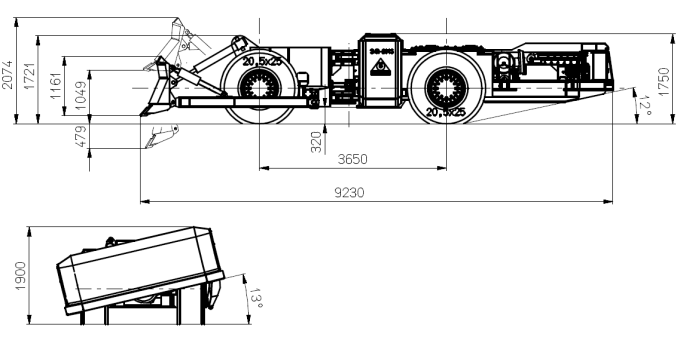 The FADROMA SWR-201S wheeled mining dozer was designed for bulldozing works in underground and surface mines. The dozer drive system configuration provides very good traction performance (e.g. thrust) and favorable machine speed in respective gears. 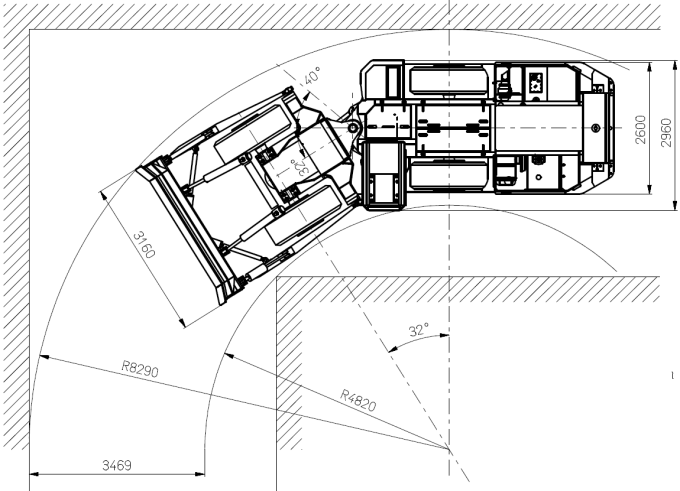 Traction parameters and compact design allow the dozer to work on high longitudinal slopes (up to 15°). The dozer operating system is characterized by kinematics usual for typical construction bulldozers, therefore it can well be utilized in underground mines. 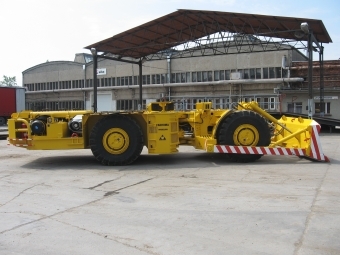 The implementation of the wheeled drive system provides very high mobility and allows for quick dozer relocation to distant areas of the mine. Such features are not to be achieved with standard tracked dozers.